ULC acquired the Mountain View Nonprofit Tower in August 2014. ULC financed the purchase through the Calvert Foundation’s Facility Fund as part of the Ours To Own Initiative. 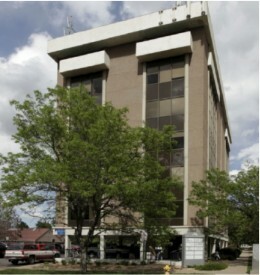 Located one block from Colfax, Mountain View Nonprofit Tower sits strategically in central Denver. The seven-story, 35,000 square foot building currently houses over 15 nonprofit tenants, consequently serving over 1,000 people per month. At the present time, the office building completed over $1.2 million in capital improvements. In August 2016, the first phase of construction began. During this time, renovations included a new elevator, ADA compliant bathrooms and renovated interiors. After six months of renovations, ULC completed construction in April 2017. ULC is thrilled to announce the completion of renovations at Mountain View Nonprofit Tower. A huge thank you to everyone involved in making this project a huge success! March Partner Spotlight of the Month: Alliance Construction Solutions! Alliance Construction Solutions has been the lead on the renovation and elevator installation at Mountain View Nonprofit Tower. Alliance has a variety of ongoing projects throughout the Denver metro region, and we are happy to feature them as our March Partner Spotlight! Dry Bones, a faith based nonprofit housed in ULC’s Mountain View Nonprofit Tower, aims to create lasting relationships with homeless youth in Denver. Lutheran Family Services Rocky Mountains, one of three refugee resettlement agencies here in Denver, handles over 1,100 new refugee cases each year. The new elevator at Mountain View Nonprofit Tower is expected to be completed sometime in late March! Construction at Mountain View Enters Week 10! Construction is running smoothly at Mountain View Nonprofit tower as we enter week 10. Construction is running smoothly at Mountain View Nonprofit Tower, which is currently in its sixth week of construction. August 17, 2016 marks day one of the construction on the Mountain View Nonprofit Tower! The Mountain View Bulletin is a monthly newsletter to keep the community informed on our facility and tenant updates!